The implementation of the Higher Education Participation and Partnership Program (HEPPP) since 2010 has fundamentally changed the scale, scope and approach to student equity work in Australian universities. Institutions have contributed to, and drawn on, a rapidly growing evidence base on the nature of the challenge and what works in widening participation for students from low SES backgrounds. Participation rates have increased substantially and there are significantly more students from low SES backgrounds in the system now than ever before. However, these gains have been uneven across the sector and are difficult to attribute to institutional HEPPP programs. Moreover, the current equity policy framework has been in place for 25 years. Over that time, the higher education sector has changed and expanded dramatically. It is time to take stock and rethink the vision for student equity in the context of the contemporary Australian higher education system, society and economy. Collaborations to conduct cross-institutional research, present innovations and disseminate findings from research and practice. The Student Equity network would be of interest to outreach and equity practitioners who are managing or evaluating institutional programs as well as researchers and institutional analysts with an interest and expertise in student equity programs and initiatives. The network takes a broad approach to the student lifecycle, spanning students’ journeys from first considering university as their path to realising (desired) career and life outcomes post-graduation while focussing on students who belong to one or intersecting equity groups. This year’s network meeting is co-convened by Nadine Zacharias and Sally Kift with a focus on The Best Chance for All, a proposed national policy statement for student equity in Australian tertiary education. Nadine and Matt Brett, with Sally, led the development of the statement during 2018. The Best Chance for All is the outcome of a national consultation process established by the National Centre for Student Equity in Higher Education (NCSEHE) in 2018 under the banner of Student Equity 2030. The Student Equity 2030 project aimed to develop a strategic long-term vision for student equity in Australian tertiary education in close collaboration with key stakeholders across the sector and beyond. Student Equity 2030 included an expert workshop, a webinar, discussion paper, written submissions and national roundtable conversations. Information and links to these documents and other artefacts are available on the NCSEHE website. Nadine leads transformative work in higher education to achieve a more equitable and high-performing sector which can support an increasingly diverse student cohort and leverage the potential of individuals for the common good. 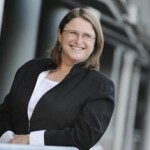 She is the incoming Director, Student Engagement at Swinburne University of Technology. Most recently, Nadine has led (with Matt Brett and Sally Kift) a national conversation to develop a new policy statement for student equity for the Australian tertiary education sector, The Best Chance for All, in the context of industry transition and transformation with the associated need for lifelong learning. 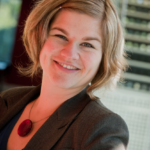 As an inaugural Equity Fellow in 2016, Nadine undertook the first national study of institutional practice in student equity across the Australian higher education sector. The findings and analytical tools produced during the Fellowship have inspired strategic change in numerous universities and are reported here. Sally Kift is a Principal Fellow of the Higher Education Academy (PFHEA), a Fellow of the Australian Academy of Law (FAAL) and elected President of the Australian Learning and Teaching Fellows (ALTF). From 2012–17, she was Deputy Vice-Chancellor (Academic) at James Cook University (JCU). Prior to JCU, Sally was a Professor of Law at Queensland University of Technology (QUT), where she also served as Law Faculty Assistant Dean, Teaching & Learning (2001–06) and QUT’s foundational Director, First Year Experience (2006–07). Sally is a national Teaching Award winner (2003) and national Program Award winner (2007). She was awarded a Senior Fellowship by the Australian Learning and Teaching Council (ALTC) in 2006 to investigate the first year experience and is a Discipline Scholar in Law. In 2017, Sally was awarded an Australian Award for University Teaching Career Achievement for her contribution to Australian higher education. Sally is a Visiting Professorial Fellow with the National Centre for Student Equity in Higher Education (NCSEHE). Bennett, A., Naylor, R., Mellor, K., Brett, M., Gore, J., Harvey, A., Munn, B., James, R., Smith, M., and Whitty, G. (2015). The Critical Interventions Framework Part 2: Equity Initiatives in Australian Higher Education: A Review of Evidence of Impact. Canberra: Commonwealth of Australia. Brett, M. (2018). Equity Performance and Accountability. Perth: National Centre for Student Equity in Higher Education (NCSEHE), Curtin University. Burke, P.J. (2013). The Right to Higher Education: Beyond widening participation. New York: Routledge. Harvey, A., Burnheim, C. & Brett, M. (Ed.) (2016). Student Equity in Australian Higher Education: Twenty-five years of A Fair Chance for All. Melbourne: Springer. Naylor, R., Baik, C. & James, R. (2013). Developing a critical interventions framework for advancing equity in Australian higher education. Melbourne: Centre for the Study of Higher Education, University of Melbourne. Zacharias, N. (2017). The Australian student Equity Programme and institutional change: Paradigm shift or business as usual? Perth: The National Centre for Student Equity in Higher Education (NCSEHE), Curtin University.